I got the worst text message of my life from a stranger. I was waiting for my husband to come home for dinner when I got the text message every spouse fears. It was from Sean's number, but it wasn't Sean. "Hey there, I'm an EMS tech taking your husband to the emergency room." Shocked and panicking, I was determined not to cry in front of my 5-year-old son. "I'm on my way," I texted back. "Is it serious?" "Yes," came the reply. "It's chest problems." The emergency medical technician didn't say it, but I knew my husband had had a heart attack. What I didn't know was whether he was alive. Though Sean looked young for his age, he was 49 years old, had high cholesterol and elevated blood pressure. He was supposed to be taking statins, but he said he didn't like the side effects, so he skipped them. To Sean, a heart attack was something he could worry about later, when he was older. But in the back of my mind, this was something I always feared would happen. As I rushed to the hospital, I wondered whether I'd become a widow with a small child in just half an hour. (Christine DiPasquale Photography ) Sandra Temko's husband was only in his 40s when he had a heart attack, but she said it shouldn't have come as a shock. 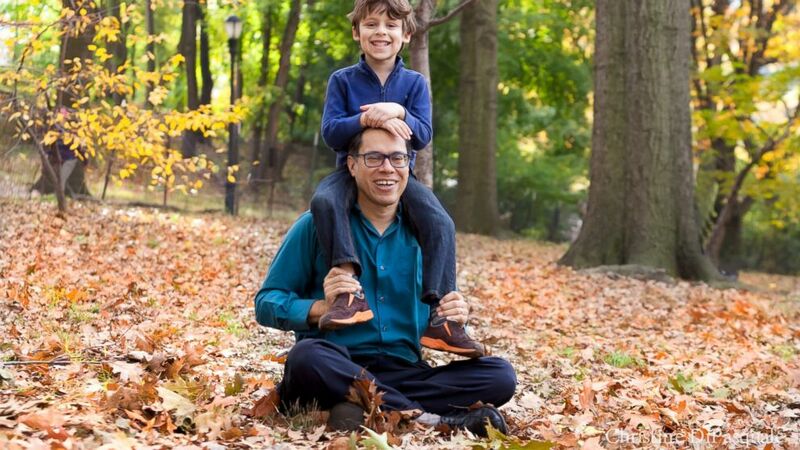 When I got to St. Luke’s and Roosevelt Hospital in Manhattan, I learned that Sean had indeed had a massive heart attack and would need a stent to open up the blocked artery. I couldn't see him yet, but they told me he would survive. I broke down and cried. After the procedure, I was allowed to see Sean, pale and in a state of shock. Yes, he survived due to his prompt treatment, but things that were once easy for him were now difficult, even impossible. He had to work up the strength to walk for more than 15 minutes at a time. He couldn't pick up our son, and we had to explain that dad had a "boo-boo." If you think having a heart attack in your forties is unusual, think again. Heart attack risk increases with age, but the American Heart Association stresses that heart attack prevention should begin at age 20. "It’s not like you can regularly eat cheeseburgers and then shut it off at 40," Sean's doctor, Dr. Jacqueline Tamis-Holland at St. Luke’s and Roosevelt Hospital, told me later. "You see the stages of early plaque buildup even in people in their teens." Today, Sean takes it seriously by maintaining stricter diet, more exercise, and less stress. He takes his meds -- even the pills with the funny side effects. He does the stuff you read about, the stuff that you think applies to "somebody else." When he talks to other people about his heart attack he said they become nervous, like they don't really want to know. But Sean's case is the very example of why you should know your heart disease risks: so you can try to prevent it before it happens. Otherwise it could be your loved one on the other end of a text message from a stranger, wondering if they will ever see you alive again. Sandra Temko is a producer at ABC News.